Aaliyah T. Kilpatrick | Breaking the Chains | Style Weekly - Richmond, VA local news, arts, and events. The first thing you notice about Aaliyah Kilpatrick,15, is her continuous smile. No matter what subject crosses the conversation, she always has a positive outlook. Aaliyah is a freshman at Richmond Community High School (RCHS) and when she is not attending school, raising money for a just cause, or serving her community, she takes the time to hang out with her older brother. “My brother is my other half and I don&apos;t like to see him struggling. When he&apos;s down, I&apos;m down,” Aaliyah explained. Aaliyah is nothing short of a top notch academic scholar and leader. She has won several prestigious awards including: the Citizenship Award, President Award, Courage Award, and a full scholarship to Passages Camp and JMU Leadership Academy. 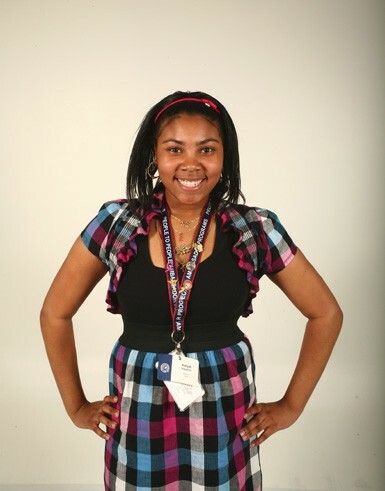 In addition, she is a two time recipient of the People to People Student Ambassador Program. As a part of the program in 2009 she was the only student in the City of Richmond chosen to travel to Japan. “It was awesome, I wanna go back…I was kinda a little shopaholic over there. I bought everything Hello Kitty, and ate ice cream every day. They put something in their ice cream, it was so good!” While there, Aaliyah was also one of the few who was able to climb Mount Fuji. At RCHS she is an active member of the Key Club where she has helped with their toiletries drive for victims in Haiti. “Just knowing that I&apos;m helping someone makes me feel good. You don&apos;t see Haiti in the newspaper anymore and they still need help,” Aaliyah said. In addition to the Key Club&apos;s efforts, Aaliyah has also helped her entire school collect food and other supplies for the victims. On the weekends, she is an active member of her church, St. Paul&apos;s Baptist. There she is a member of the Youth Choir, Step Team and Dance Ministry, Kisura (a female mentoring group), and youth group. She also volunteers as a reading tutor, on the Back to School Committee, and Vacation Bible School. In her efforts to reach out to the community, Aaliyah assists with neighborhood clean ups, feeding the homeless, and more as a member of the Rosa R. Wilkerson Youth Group #112. Aaliyah dedicates so much of her time serving others with her bright smile, showing by example what it means to be a cheerful giver.